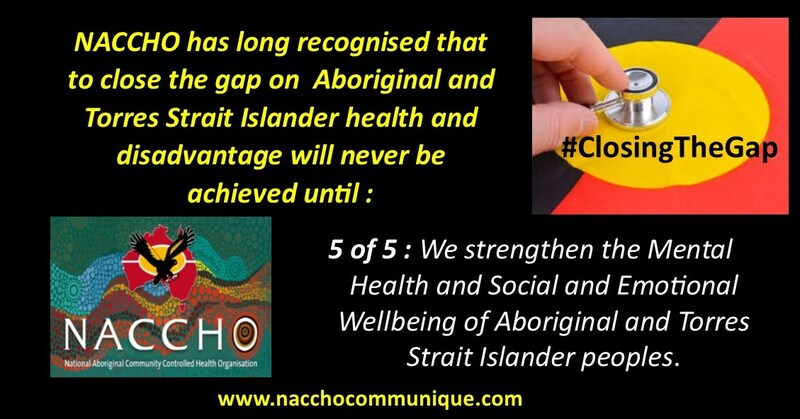 NACCHO Press Release : Aboriginal Health and #ClosetheGap Report : #NationalClosetheGap Day : A Time to Reflect and Recommit how our mob can enjoy the same access to health, education and employment outcomes as non-Indigenous Australians. 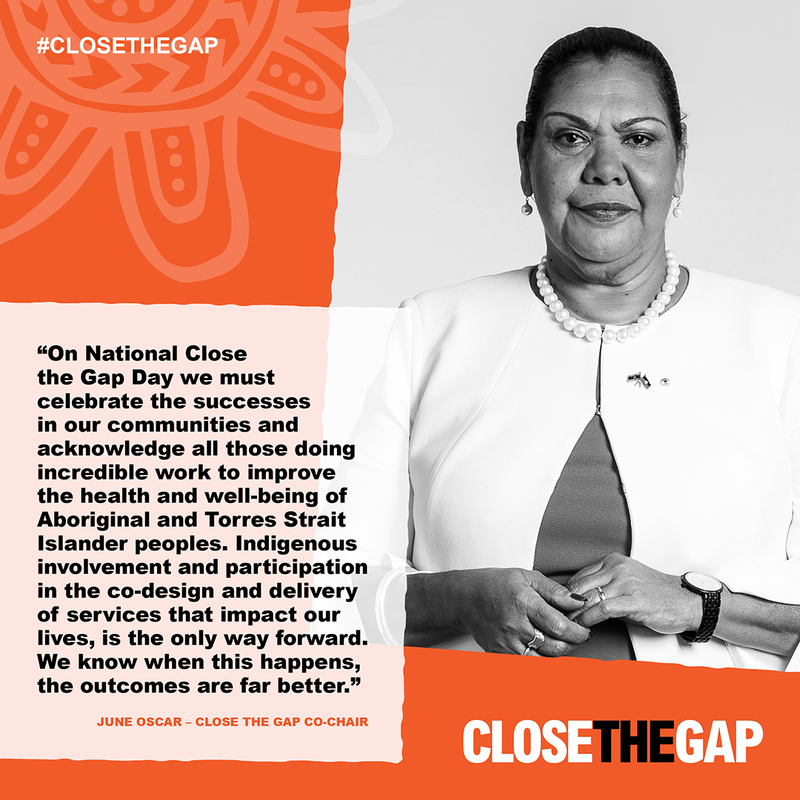 “ We were really pleased when the Council of Australian Governments agreed to a formal partnership with Aboriginal and Torres Strait Islander peak bodies on closing the gap. 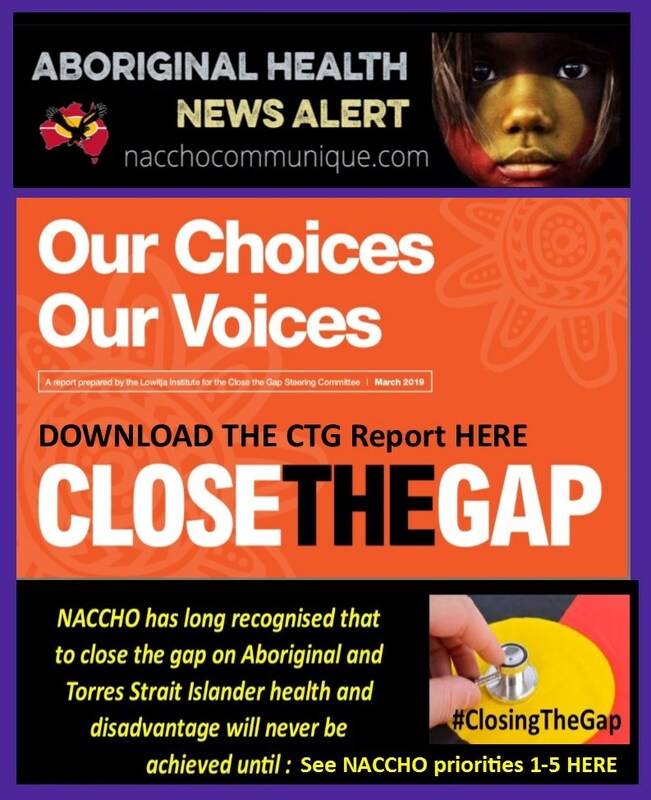 ” Releasing the report, the Aboriginal and Torres Strait Islander commissioner June Oscar AO said Indigenous people had “the right to self-determination and full participation in decision-making about matters that affect us”. 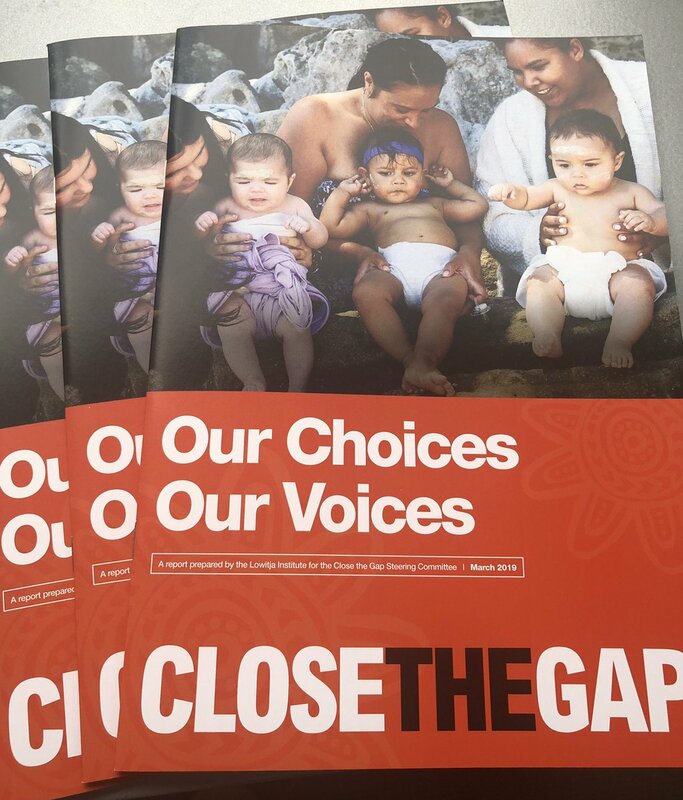 “We need to invest in and support on the ground voices and solutions,” she said. 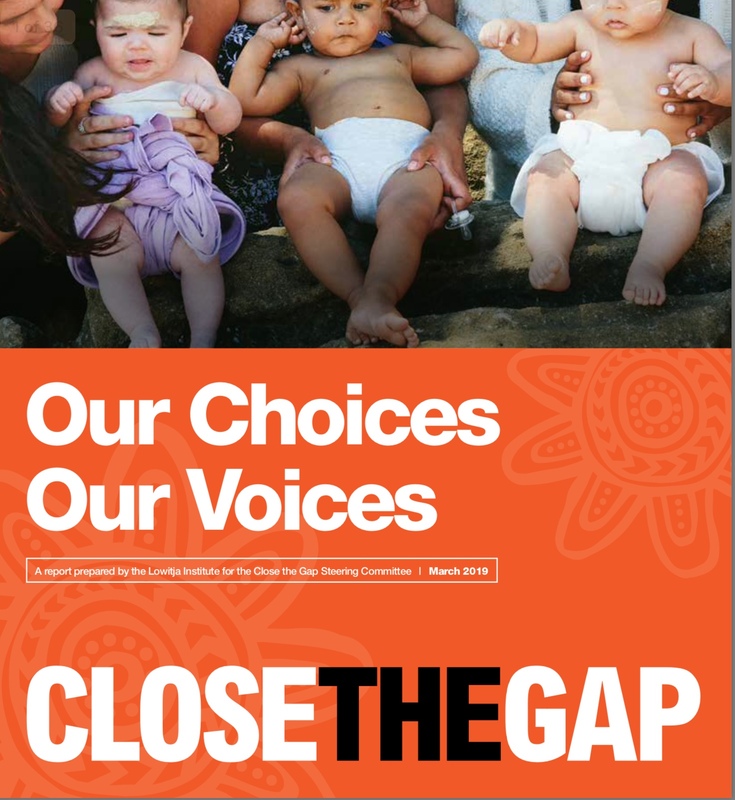 “The Aboriginal and Torres Strait Islander Social Justice Commissioner June Oscar AO and the Co-Chair of the National Congress of Australia’s First Peoples Rod Little, will today release the 2019 Close the Gap report – “Our Choices, Our Voices”. 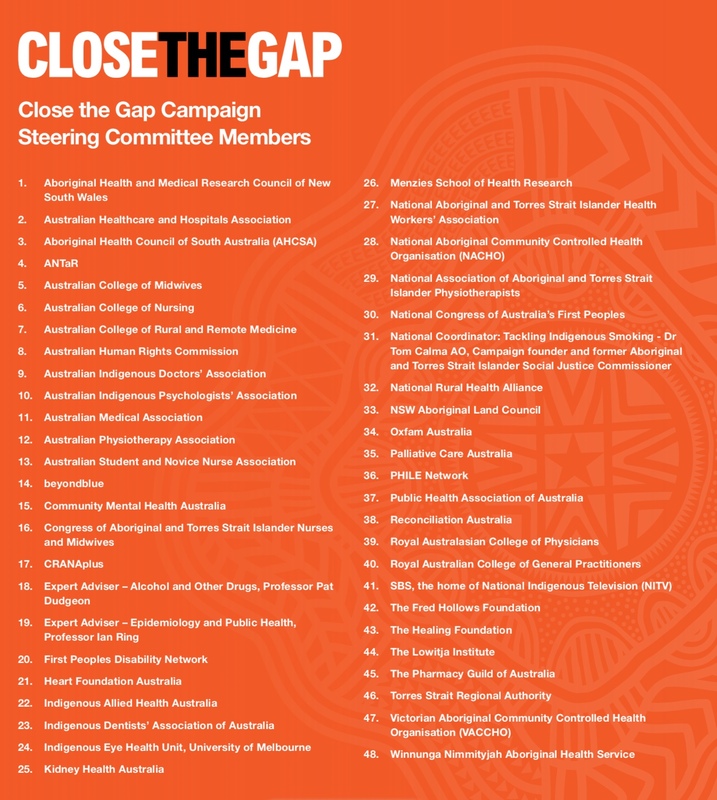 Historically, the challenge of Closing the Gap has always centred around the lack of Aboriginal and Torres Strait Islander voices and input in the larger framework, policies and targets. 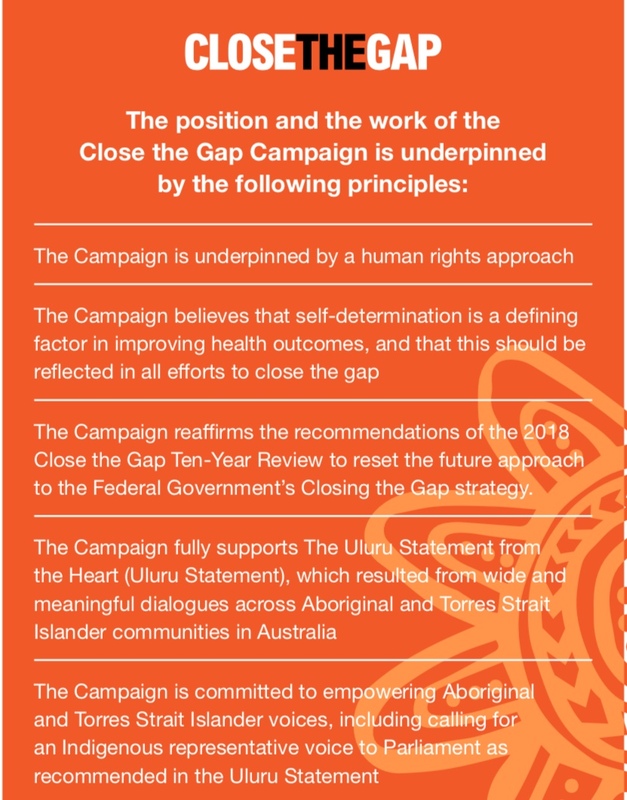 The top-down approach of Closing the Gap was never going to yield the outcomes we all hoped to see.